Mixing vocals is often the most challenging part of any production - there’s nothing quite like the dynamics and evolving timbre of the human voice to complicate an otherwise straightforward mixdown and mastering job. In my personal experience, one of the most challenging aspects to vocal mixing is getting the frequency balance and overall tone right; the perfect lead vocal is airy and crisp but never sibilant, and really well-mixed vocals seem to have a top end that extends to the upper limits of our hearing without a hint of harshness. 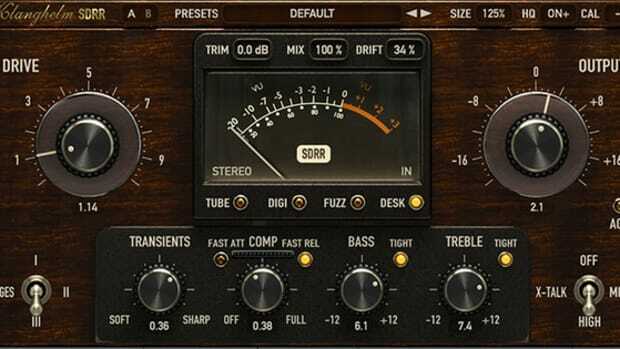 While the standard lineup of processors are essential for a top-notch vocal mix - an EQ, compressor, reverb, limiter, and de-esser should always be in play - it never hurts to have an extra trick or magical plugin to do things that other processors simply can’t. Several decades ago, during the heyday of Tape recording, engineers realized that one such trick was available by intentionally misusing their Dolby 361 Noise Reduction unit, which was typically used to remove hiss and other unwanted artifacts from tape recordings - and the results spawned many imitations, including some of the most widely known and used Aural Exciters on the market today. The Dolby A effect is, put simply, unlike any other processor you’ll find in your studio: it enhances the high end in a way that EQ can’t, and brings out presence in a dry vocal in a way that typical exciters can’t - and as such, it should be a tool in any mix engineer’s toolkit. While Dolby A processing is uniquely powerful, it’s been rather inaccessible for the majority of today’s Hip-Hop and Electronic producers due to the original hardware’s increasing scarcity and the lack of convincing plugin emulations - until now. 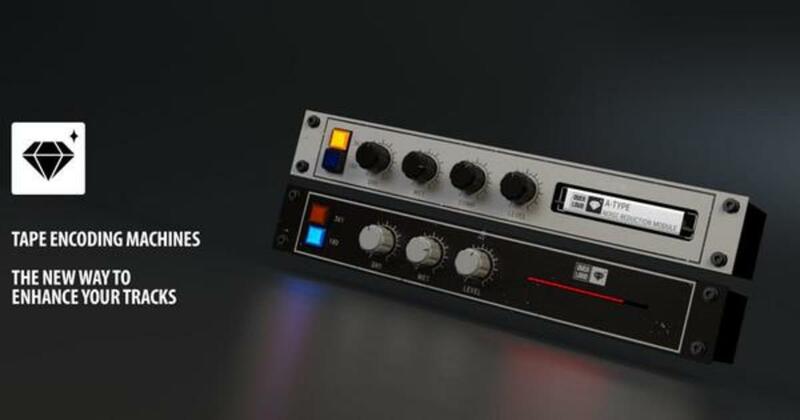 When we heard that Overloud - who’s TH3 and Rematrix plugins have created serious buzz over the past few years - had released their own take on the Dolby 361, we knew we had to take it for a spin, and the results did not disappoint. Whether you’re simply looking for a new technqiue to try on your next vocal mix or you’ve been after a Dolby A emulation for years, we’re happy to say Overloud’s Gem Dopamine has you covered. Installation and setup for Gem Dopamine is straightforward and easy - download the installer via the Overloud website, install the software, and authorize it using the Overloud authorization window which appears the first time you run the Dopamine VST/AAX/AU plugin in your DAW. It’s worth nothing that while Overloud does require hardware-based authorization (either a USB stick or your hardware device e.g. laptop/desktop), their license terms allow for up to 3 simultaneous hardware authorizations per license, which should be more than enough for most users. Gem Dopamine is quite likely the simplest plugin we’ve reviewed to date; the GUI is minimal and easy to understand, with a switchable black and white interface to match the two emulated models (DBX 180 and the Dolby 361 A, respectively). The 361 model, which is the more complex of the two, offers just four knobs: dry(unprocessed signal), wet (fully processed signal), comp (dynamic control), and level. Overloud’s preset loading and saving system is clean and easy to understand, and overall we found Dopamine to be extremely intuitive and easy to use - this is one where you can just experiment until you find something that sounds right, which isn’t hard to do with these modeled processors. It’s also worth noting that both models are exceptionally light on CPU considering their sound quality, which is always a win in our book. 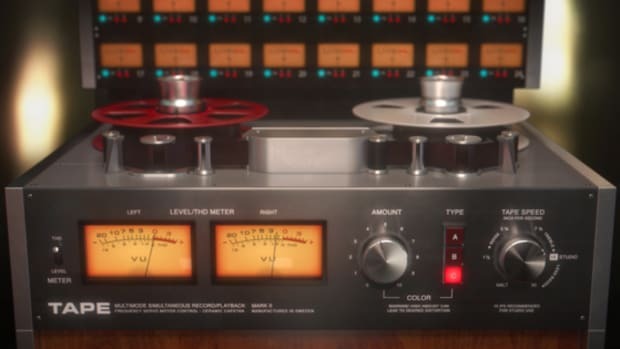 To understand how exactly Dopamine and the Dolby 361 and 180 units work, let’s briefly jump back to the heyday of tape recording circa 1975. 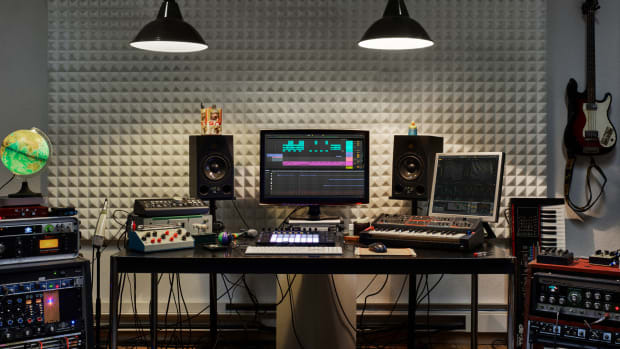 While many producers and engineers now covet the nonlinear sound of tape, it’s worth bearing in mind that tape has a number of inherent downsides, the most noticeable of which are hiss and noise. As increasingly high-fidelity stereo and playback systems became more common in the mid-to-late 70’s, producers and engineers began searching for ways to remove the troublesome hiss that was inherent to all tape recordings - and the Dolby 361 unit offered the most effective solution around. The 361 unit and it’s swappable module cards removed hiss via a two step process; first, a multiband compressor/expander artificially inflated the high frequency content of the signal to boost the tape hiss, and a second stage compensated for this inflated hiss and noise when decoding the signal on it’s way out of the unit - effectively removing a substantial amount of hiss in the process. Something interesting, however, happened if one omitted the second stage in the process; you ended up with the artificially boosted signal, which was never decoded - and as it turns out, this effect can be very pleasing when used on vocals, instruments, and in some cases, full mixes, imparting a sense of air and top end sheen that wasn’t acheivable with equalization or existing enhancers. The Dolby A effect is one of those things you just have to try to understand, so we’d highly recommend you grab the demo of Gem Dopamine and get to experimenting. It’s a process that’s truly something unique, and in my experience - using several other plugin emulations of the device, never the real unit itself - is a true secret weapon for lead vocals or any other mix element that needs top end sheen with absolutely no harshness. That’s really where the magic of Dolby A processing, and of Gem Dopamine, lies: the process has a way of enhancing what’s already present in a signal in a way that an exciter can’t, while simultaneously enhancing harmonics in a more robust way than a traditional EQ can. In our use, Dopamine excelled at pushing vocals forward in a crowded mix, adding sheen without a bit of sibilance or high end harshness. 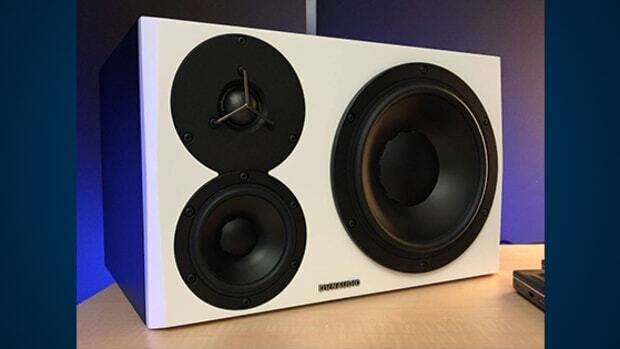 We found ourselves turning to the 361 unit considerably more, largely because of it’s added flexibility; in a nod to the original Dolby 361 units, which offered swappable cards with specific functionality, the Dopamine 361 model offers two switchable cards, A-Type and Noise Stressor. 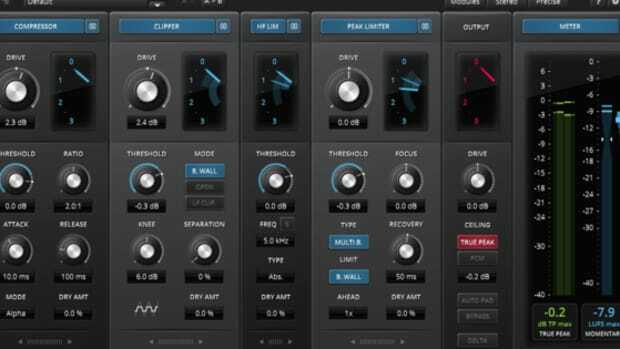 While I’ve never had the pleasure of working with the original unit, Overloud’s claim that the Noise Stressor algorithm is particularly well-suited to vocal enhancement rang true in my testing: it’s right up there as one of the best single-plugin enhancement effects I’ve found to date for vocal processing. 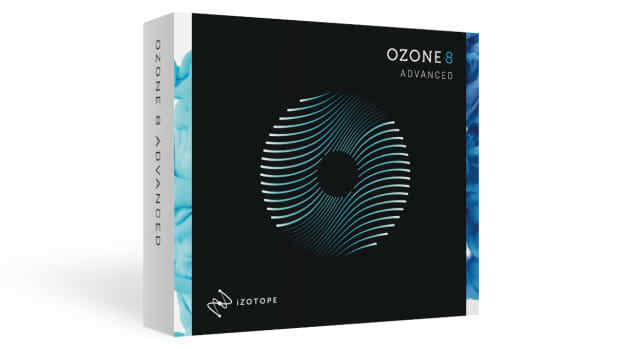 The A-Type card, while also being stellar on vocals, also shines on synths, percussion, and busses or stems that need some top end sheen without the typical side effects of too much high-end EQ. I was recently working with a vocal which, despite being a solid performance otherwise, contained a high amount of sibilance due to the acoustics of the vocalist’s recording studio; I was in a bind as the vocal needed more top end above 10K despite the substantial sibilance, and no EQ I tried was up to the task, even after aggressive de-essing (which has it’s own undesireable side-effects). After trying almost everything in my arsenal - enhancers, saturators, multiband processors, and EQ’s - Gem Dopamine was the first and only plugin I tried which opened up the top end without increasing the sibilant regions, allowing the vocal to sit where it needed to in the mix. If you’ve ever faced a mix situation like this, you understand the power of a plugin like Dopamine - you might not use it on every single mix you do, but when it works - it really works. We found Dopamine to be stellar in use and couldn’t find a single issue with the plugin - just be aware that it’s very limited in it’s functionality (we don’t mean this in a bad way whatsoever), and it is truly a processor that specializes in one thing and does it extremely well. Dopamine is not a one-stop shop for vocal mixing, nor is it a Swiss Army knife for all situations: it’s a minimal, highly useable, and phenomenal sounding model of a very specific processor. If that’s what you’re after, look no further. We’d recommend Overloud’s Gem Dopamine to any producer or engineer looking for a unique processor which goes beyond what conventional EQ and Exciters can do. The Overloud team has done a stellar job creating a brilliant recreation of a truly one-of-a-kind studio tool, and you’ll find it to be uniquely powerful for vocal mixing - as well as general enhancement of synths, drums, and full mixes when the source material is right. Dopamine does one thing and does it extremely well. 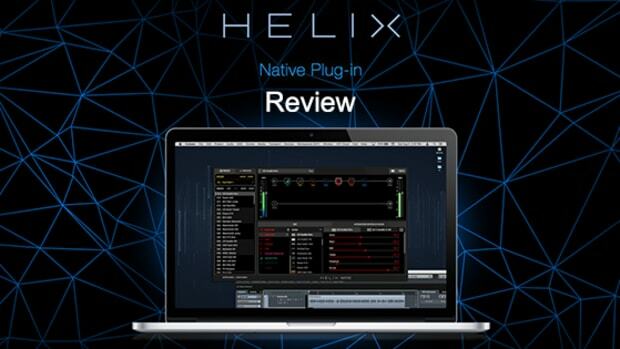 An excellent emulation of Dolby Noise Reduction processors. Low CPU - easy to use across a large session. Stellar sound - does something EQ and other Enhancers can’t. 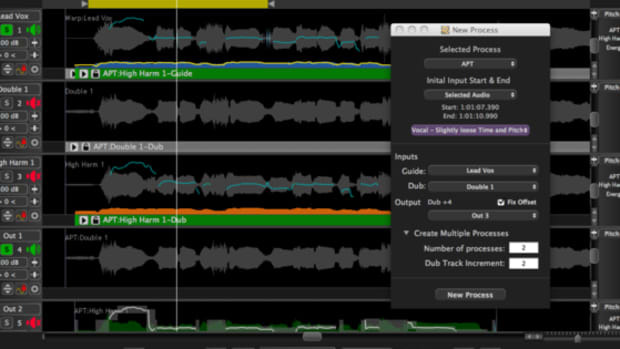 Some producers may find Dopamine a bit pricey for a single-purpose tool.